As residents of Northern and Central California, the team at the Brod Law Firm understands the importance of the wide variety of transportation options available in our region. Having access to rail systems in particular, including both commuter rails and metro rails, allows people to travel for both work and play without the stress, environmental impact, and cost of commuting by car. However, as we were reminded this week, train derailments are a very real danger. Our San Francisco train accident lawyer helps hold transit authorities and others accountable when people are injured or killed in rail accidents, allowing the victims to recover compensation and encouraging a safety-oriented mindset that can prevent accidents from occurring in the first place. According to CBS SF, railway officials are blaming a mudslide for the derailment of a commuter rail train in Niles Canyon near Sunol. At approximately 7:30 PM Monday, the Altamont Commuter Express (“ACE”) train travelling from San Jose to Stockton went off the tracks with the first car sliding down an embankment and ending up in Alameda Creek. Officials say that the train hit debris from a mudslide that was likely the result of the heavy rains in the area last weekend. There were 214 people on board when the train derailed. Four people were reported as having serious but not life-threatening injuries. Five people incurred minor injuries. The remaining passengers made it to their destinations around 1 AM. First responders told reporters that it was a miracle that no one died in the incident. The study also analyzed the relationship between speed and derailment causes. When all speeds were included in the analysis, broken rails and welds were the top cause of derailments. 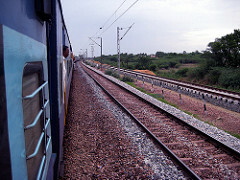 The second most-common cause varied based on the train’s speed. At speeds below 10mph, track and human factors (e.g., problems with train handling, braking issues, improper use of switches, etc.) were more prevalent. However, at speeds over 25mph, those factors were less common and equipment issues (e.g., broken wheels, defective axles, and bearing failures) predominated. Rail users have a right to expect the safest ride possible. Rail authorities must be encouraged to focus on accident prevention, including track maintenance and proper training, rather than taking only a responsive position. When accidents do occur, it is important to determine the cause and determine whether the actions of an entity and/or individual contributed to the event. While switching errors may be more directly attributable to “human-related causes,” we believe it is important to note that broken tracks and similar issues can often be traced to human and/or corporate decisions. If a rail company risks danger by cutting corners on maintenance, they should be held accountable. We believe train injury lawsuits not only help those involved in a train accident move forward, but also help prevent future tragedies. Attorney Greg Brod partners with experts to help train derailment victims. Our team works together to get compensation for the injured and the grieving. We have experience bringing cases against both public and private entities. 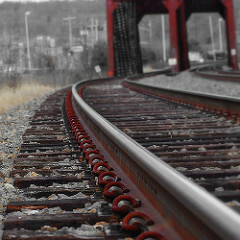 Call our train derailment law firm in San Francisco, Oakland, or Santa Rosa for more information.